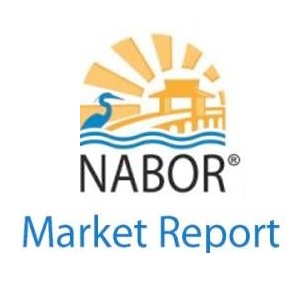 NAPLES, FL – All signs point to stabilization for the local housing market as evidenced in the 2013 Annual Market Report released by the Naples Area Board of REALTORS® (NABOR®), which tracks home listings and sales within Collier County (excluding Marco Island). Overall pending and closed sales for homes over $300,000 increased by double digits in 2013. According to the report, the overall housing market inched ahead of activity reported in 2012, which was considered a recovery year by market expert Cindy Carroll, SRA, with the real estate appraisal and consultancy firm Carroll & Carroll, Inc. Overall median prices for properties between $300,000 – $2 million leveled off in 2013 with little or no change. However, median prices in the lower-end (under $300,000) and higher-end ($2 million+) increased 16 and 5 percent, respectively. •	Overall closed sales in both the $300,000 – $500,000 and $2 million and above segments increased 27 percent from 1,366 in 2012 to 1,730 in 2013 and 234 in 2012 to 298 in 2013, respectively. •	Median prices for single family homes in the $300,000 and below category increased by 17 percent from $150,000 in 2012 to $175,000 in 2013. •	Overall inventory decreased by 18 percent from 6,557 properties in 2012 to 5,403 properties in 2013. •	Inventory in the condo market decreased by 23 percent. •	Closed sales in the single-family market rose 1 percent, while closed sales in the multi-family or condo market rose 8 percent.